Welcome to the Mother Scrapbooking Layouts Gallery. 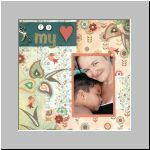 This is the place where you can submit and proudly show off your Scrapbooking Layout to the world. You'll be able to see your layout on your very own web page. 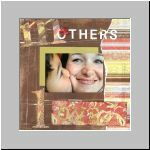 Submitting your Mother Scrapbook Layout to this site is free, easy and fun. Just fill in the form below, write the techniques, ideas, materials and any other information that you want others to know about your layout(s) and hit the submit button. When your submission is accepted, your layout will become a "LIVE" page on this site. That's right...YOU get to submit layouts and have your own page on this website. This Mother layout gallery is for You, the visitors of this site. Enjoy!